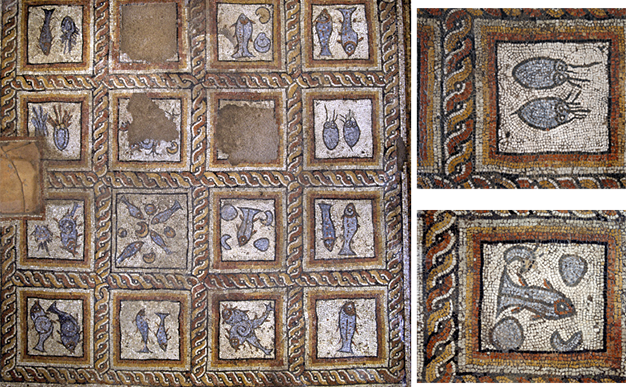 In the Domain of Rambouillet, the décor is nothing but sea shells and covers wreaths, vases, medallions and cornices in the sea shell thatched cottage of the same name. 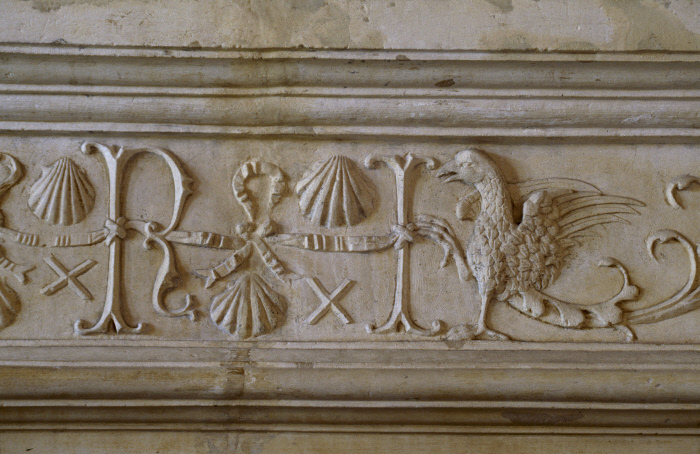 Scallop shells, an emblem of the famous traveller, can be found everywhere in the Jacques Cœur Palace in Bourges. 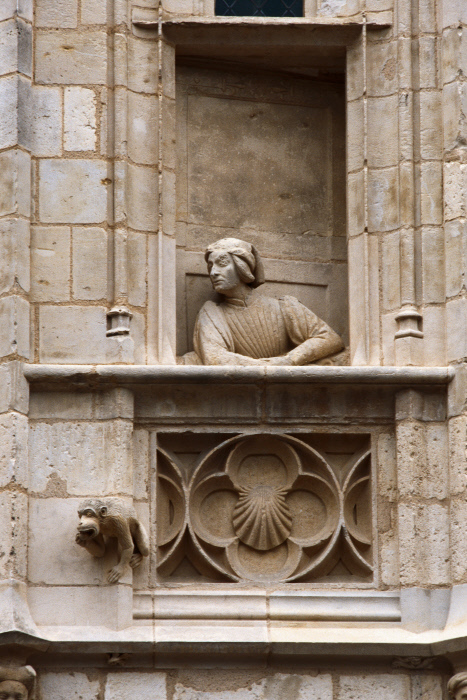 As here, on the façade, where Jacques Cœur appears leaning on a fake window. 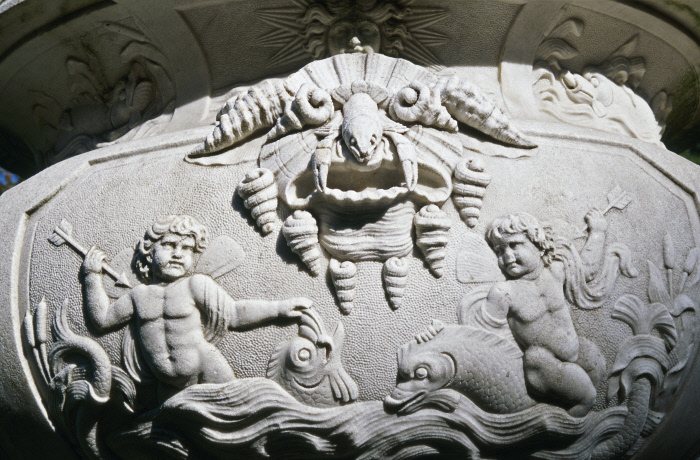 Shells also feature on the family coat of arms of Jeanne de Balsac and Robert Montal, as evidenced by the sculpted decoration of the Château de Montal in the Lot. Have you heard of conchology? 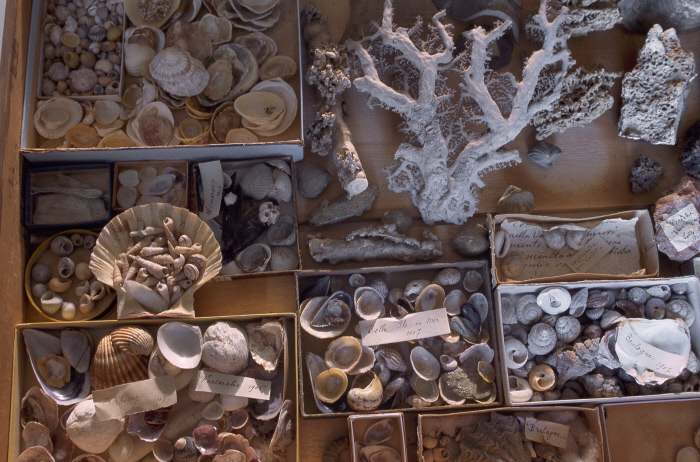 In the workshop that George Sand had set up in her house in Nohant, was a fabulous collection that showed her son Maurice Sand's interest in sea shells. 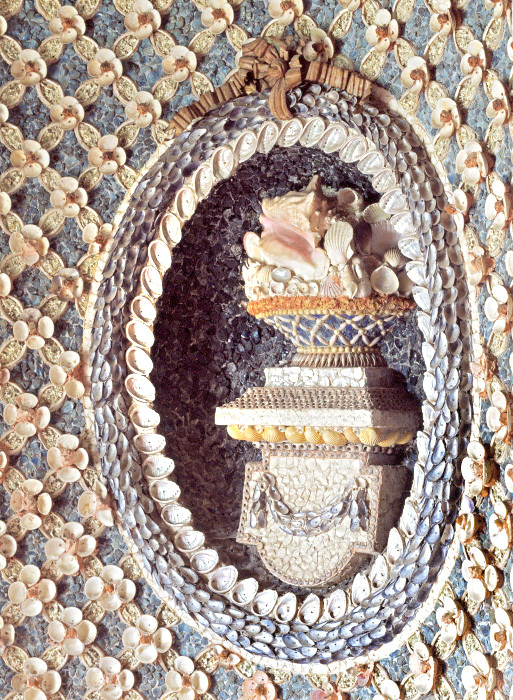 This garden vase, which you can find in the national domain of Saint-Cloud, is decorated with a mascaron ornament made entirely of sea shells and shellfish. 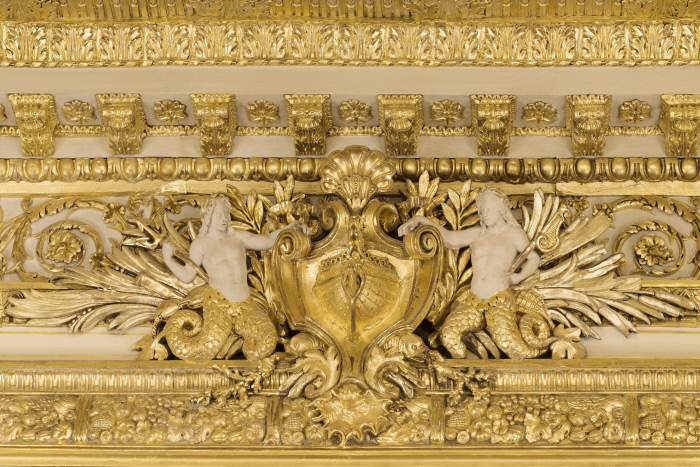 Sea shells, so dear to the rococo style, are also present in the decoration of the ceiling of the Salon d'Honneur of the Hôtel de la Marine.